Such a sweet and feminine accessory for a lady of any age. 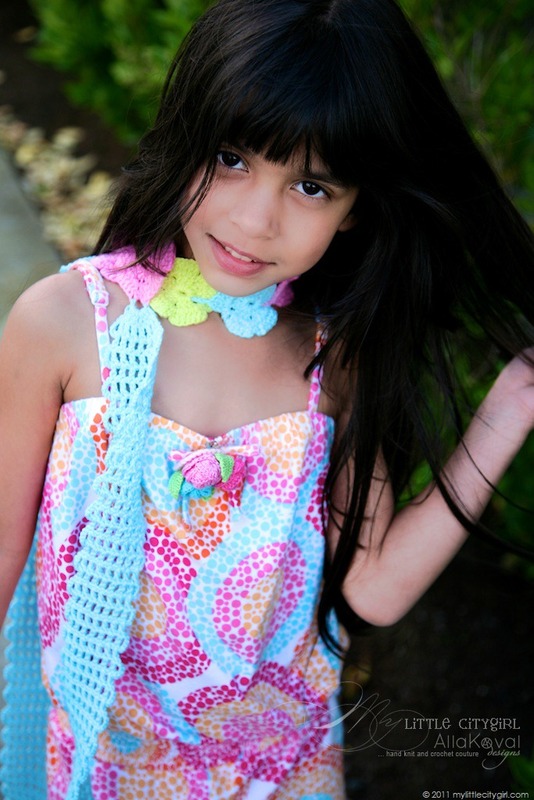 Stitched in silky, bamboo-blend yarn, this Crocheted Scarf Headband can be made in couple hours for a quick, one-of-a-kind accessory and would look stunning in any color combination. 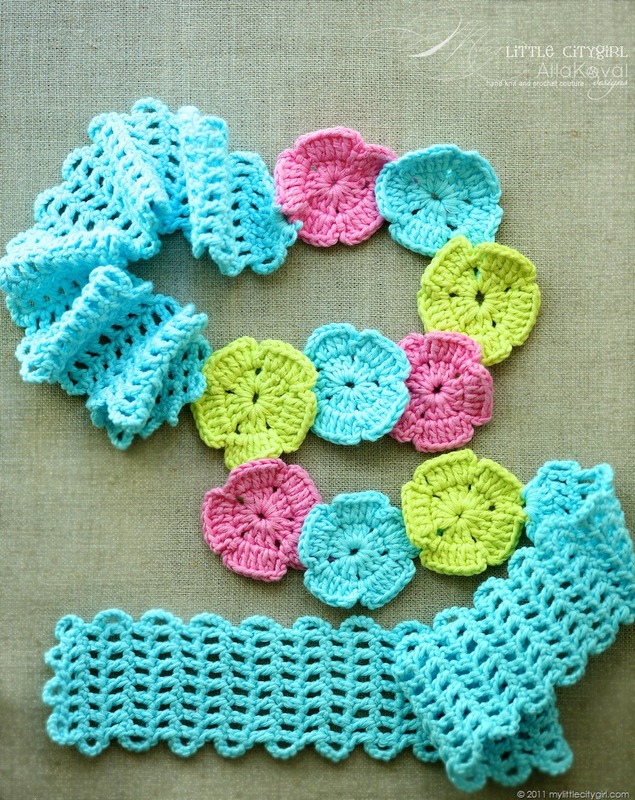 It’s a fun project for all skill levels and can be easy modified into flower headband with ribbon or crochet ties (instead of panels) or just make panels in different colors and adorn panels with sequins/beads, flower appliques or whatever you can think of – get a fun to create your own! Please read and follow my copyright info. THANK YOU! Also, this pattern has not been tested, so if you find any mistakes or typos, please let me know and I will fix it. so lovely!Thank you so much for the Pattern. Very cute,Alla! My girls will LOVE it! Love, love this. The girls will love to wear this. 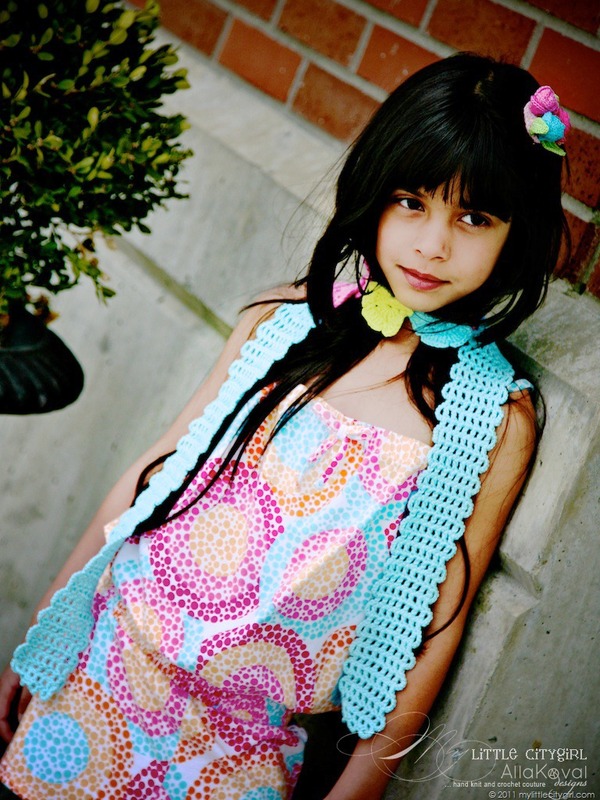 Lovely can you send me the pattern?Your daughter is beautiful! Very beautiful, thank you so much for this pattern! Thank you so much, Alla! It’s beautiful! Thank you so much everyone!! You are very Welcome!! VERY CUTE SCARF HEADBAND MY GIRLS WILL LOVE IT. THANK YOU VERY MUCH. Thank you for sharing your gifted inspirations with us. Your work is simply awesome! Also appreciated are your added suggestions on this pattern of what could also be done with the panels. Thank you. We appreciate your thoughtfulness and your amazingly beautiful creations. 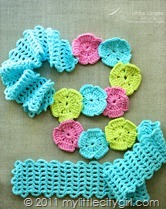 Thanx a lot Alla for this adorable pattern i’m working on a few scarves for little angels in my family ……………..